A Grey Old Statue Of A Angel With, In The Background, The Convent.. Stock Photo, Picture And Royalty Free Image. Image 93848908. 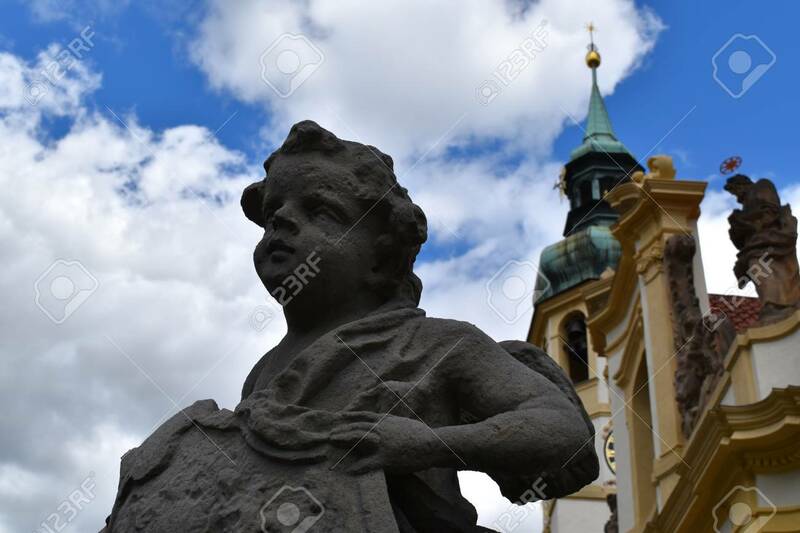 Stock Photo - A grey old statue of a angel with, in the background, the convent of Loreto in Prague in Czech Republic in a sunny day with blue sky. A grey old statue of a angel with, in the background, the convent of Loreto in Prague in Czech Republic in a sunny day with blue sky.